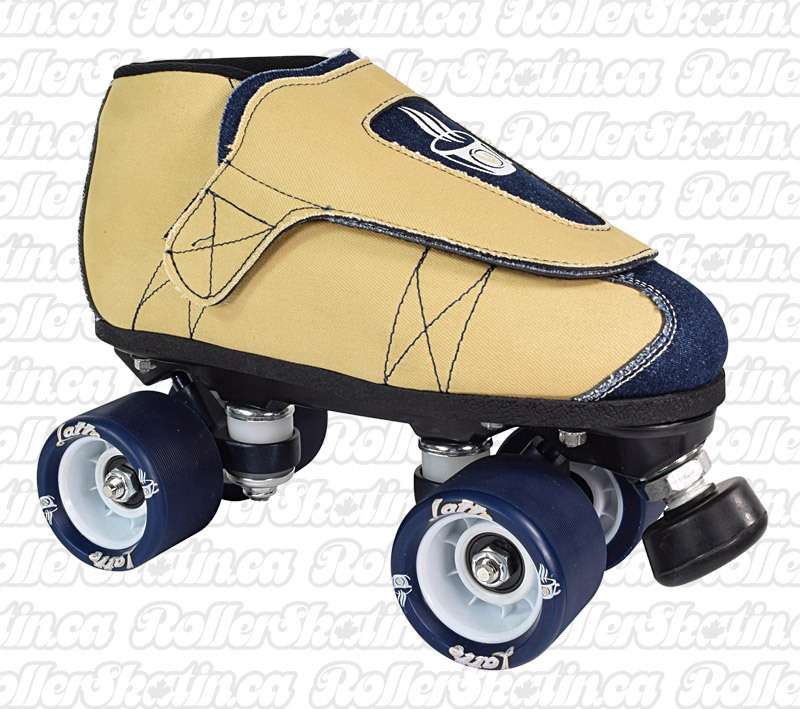 The VNLA Latte JAM/Speed skate features Latte Denim with super comfy quilted padded interior. 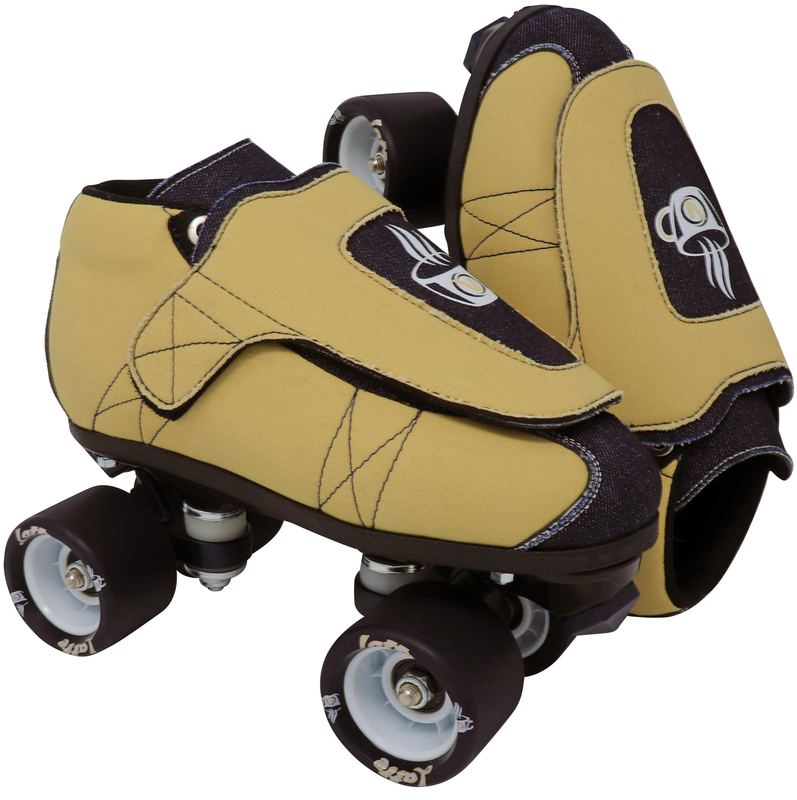 Gorilla plates and Backspin wheels are Guaranteed for Life! Get your JAM ON with a Vanilla Latte!! Vanilla VNLA Latte! Beautiful Latte Denim, comfort interior lined with quilted padding. 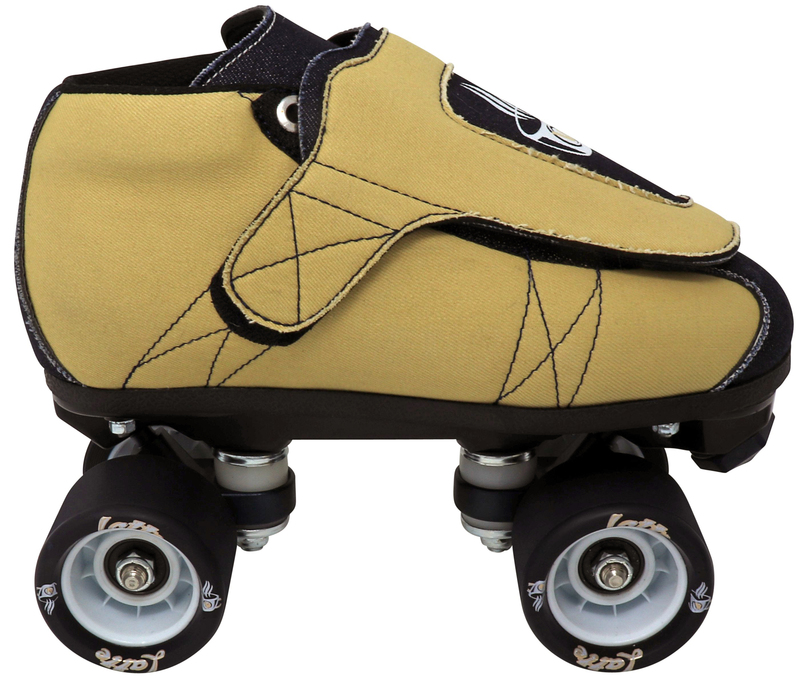 Vanilla is dedicated to building the best Jam/Speed/Shuffle skates out there – at a reasonable price! 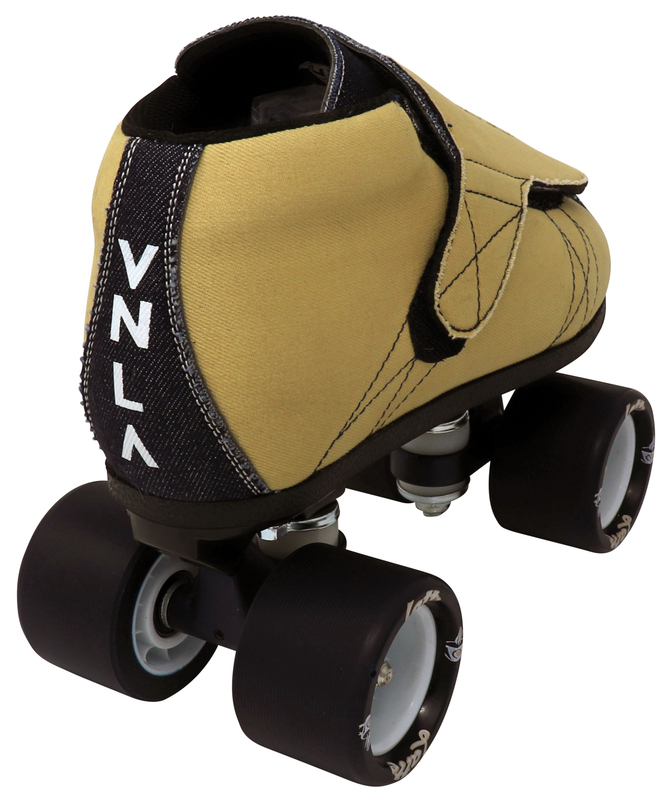 The VNLA Latte skate is available in mens full sizes from 3-12 as available in the pull-down menu. Ladies choose 1 size down (ie. Mens 8 = Ladies 9). The boots now run true to shoe size. • NOTE: Please download and print the Vanilla Sizing Guidelines here to check for your perfect fit before ordering.